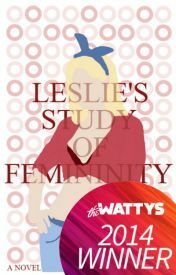 Everyone tells Leslie she's one of the guys, so she sets out to prove that there are no rules to being a girl. I was actually really disappointed by this book. I was so excited by the premise of the book, which I had take to be about how women are still women even if they do stereotypically masculine things. I was fully prepared for ultimate girl power book. But instead it quickly turn into a romance novel and a pretty unrealistic one at that. All the characters were well written. They were individual and realistic. Les was a great character to read about, her reactions to everything were entertaining to read about. The plot was mainly based around Les' new relationship with her best friend Greg. I thought their relationship was unrealistic because of how fast it was. By the end of the book they are married with kids. In conclusion, this was a very sexual book with a lot of swearing but usually it was a in context and helped move the plot along. I was quite disappointed into the story as it wasn't what the blurb said it was going to be. I'm giving the book 3/5 stars.